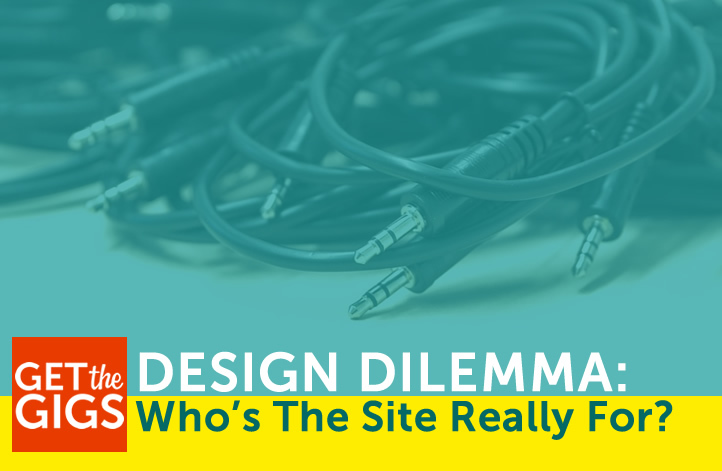 Design Dilemma: Who’s The Website Really For? Several years ago, I had the distinct pleasure of not only helping to organize and promote Atlanta’s 2016 WordCamp event, I also got to present on one of my favorite topics. That topic? For whom, exactly, a website is really designed. My presentation was NOT a step by step guide or how-to tutorial. It was more of a philosophical discussion. I said that my take might be contentious. I DISAGREE, in all caps, with the idea that a site isn’t about its owner. Your website is ABSOLUTELY about Y-O-U! As a matter of fact, the first three letters of “your website,” are Y-O-U. The way I see it, prospects, projects and even long-time customers come and go. But your relationship with your own online presence, your brand, your business, must stand the test of time. If you want to build any lasting brand recognition, anyway! Are You The Superhero Of Your Own Website? Consider this … if you’re not all that jazzed about your website, your brand’s online home … how jazzed do you think you’re going to be with the leads and prospects that site generates? You spend a lot of time on your site. Shouldn’t you enjoy that site? If the thought of working on your own site makes you yawn and need a nap, then it’s time to consider a change! It’s a conundrum, certainly. Is the site for you and your business? Or is it ALL about those whom your business hopes to serve in the future? In order to be one, it must also be the other! Know, Like, Trust … The Trifecta! Those seeking to do business online want to do business with someone they feel they know, like and trust. Someone is the key word in that sentence. Is there a someone within your site? Does your website have any personality at all? The people you want as clients are smart. It doesn’t take them long to sniff out a fake persona. Once you’ve been sniffed out as a fake, as insincere, as NOT real, the chance that prospects can learn to know, like and trust you? It’s long gone! A site that is both for and about YOU and for and about your client requires balance. Too much of any single component will affect and alter that balance. Without the proper balance, your site can’t nail that know, like, trust trifecta. Too clinical, lacking any personality? Hard to LIKE. Too personal? TMI? It’s hard to see you as a professional or peer, which makes it hard to build TRUST. Too generic? Too like EVERY other peer or industry site? Hard to KNOW why they should choose you or your business. Without detracting or distracting from your message, your end goal. Without stepping over the line or burning any bridges. I was absolutely thrilled when I got so many great questions throughout my presentation (I’m not the kind of presenter who makes people wait until the end). I’d love to answer any questions you have about ensuring your website is both about Y-O-U and your audience. The comment section is open, ready and waiting. Fire away! https://www.getthegigs.com/wp-content/uploads/2018/06/new-site-for.jpg 471 722 Mallie Hart https://www.getthegigs.com/wp-content/uploads/2018/06/GTG-w.png Mallie Hart2018-01-30 13:17:042018-06-22 15:29:55Design Dilemma: Who's The Website Really For? Design Discussion Keeps Projects On Track! Better Blogging: Size DOES Matter!